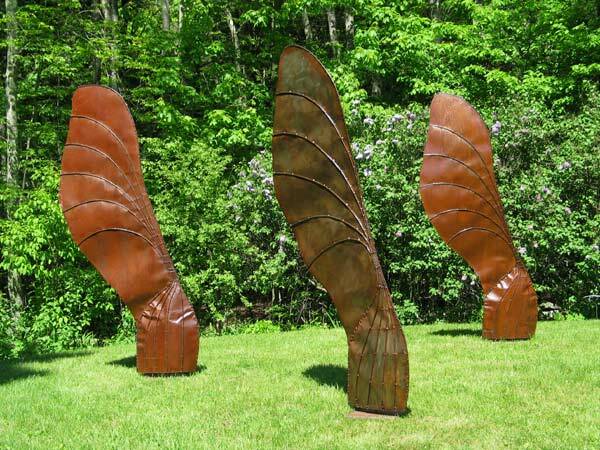 Last summer one of my sculpture installations: Potential 3×3, which consists of three eight foot tall steel, wind-kinetic elements, was installed at the new sculpture garden at Sanctuary Arts in Eliot, Maine. Someone who saw that nominated it for a Spotlight Award for Installation Art, which I am honored by. There is a public voting component and an event on April 14th at 7:00 pm at the Portsmouth Music Hall. Here’s more information.